It’s been a rough few days at the Afthead house, so today I bring you my favorite sign from a local water park, so we can share a laugh. 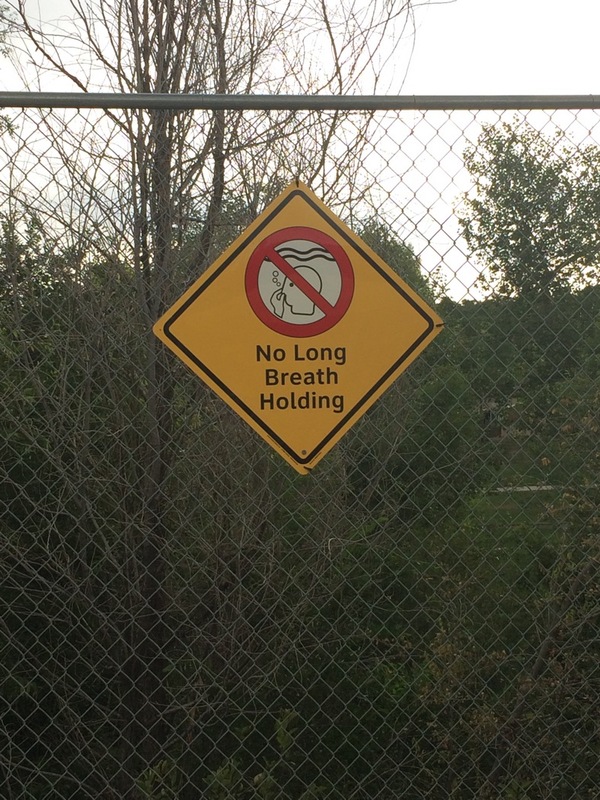 Every time I see it I want to jump in the pool and stay under as long as I can, swim a lap without coming up for air, or just stand in front of the sign and hold my breath like a petulant child. That’s the kind of scofflaw I am. Now, let’s all just take a deep breath …and hold it. Not insane. You just like pushing boundaries! I also really like this sign.